John Larson is the owner of one of Traverse City's newest restaurants, Mama Lu's. Mama Lu's, which is named for Larson's great-grandmother, has a stripped-down menu that has a singular focus on tacos. Larson says that approach comes from the direction he envisions the restaurant world going. "I think by providing such a limited menu, we can control a lot of things and give you a better experience," says Larson. Mama Lu's employee Leif Johnson, uses a hand-press to flatten fresh tortilla dough in advance of the expected lunch crowd. All of the tortillas are made to order at Mama Lu's. Larson says it takes a lot of dedication and hard work to make fresh tortillas, but the payoff is worth it. "They die by the second, these tortillas," he says. "It all about the freshness and being able to control what goes into it, and how moist they are and how far you cook them. Just having that total control over the finished product instead of just buying a prepackaged product." The Carne Asada has been a popular taco in the opening days of the restaurant. Larson explains it's a spin on the "meat and potatoes" concept, with steak, peppers and is garnished with potato chips. "Every single taco has a crunch component on it," says Larson. "You have the soft braise meat, the soft taco shell, and then you get that nice juxtaposing crunch to it,"
John Larson says it's all just part of the modern twist he's putting on his menu. He says the new sauces and different garnishes he's come up with, elevates the simple concept of a taco. "We elevate them in a modern way, and we present them in this modern setting that we've created." Owner and Executive Chef John Larson, gets ready for another day at his new restaurant, Mama Lu's. It's what he calls a 'modern day' taco shop. 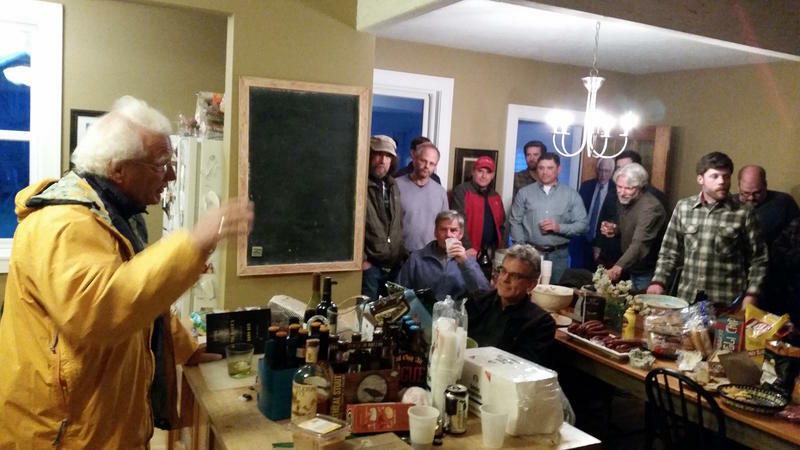 On a recent Saturday evening in Cedar, Michigan, about 40 guys are gathered in the home of Jeff Smith, the editor of Traverse magazine. The night is centered around beer and poetry. The beverage of choice is from the recently opened Lake Ann Brewing Company. The poet is Mike Delp. Mike Delp has a new book titled Lying in the River’s Dark Bed. It’s what he calls the confluence of the Deadman and the Mad Angler— characters he’s has been crafting for years. Mary Sue Wilkinson remembers how sad she felt when she used to visit her father-in-law who was suffering from dementia. He was a former minister, but near the end of his life he couldn’t talk. 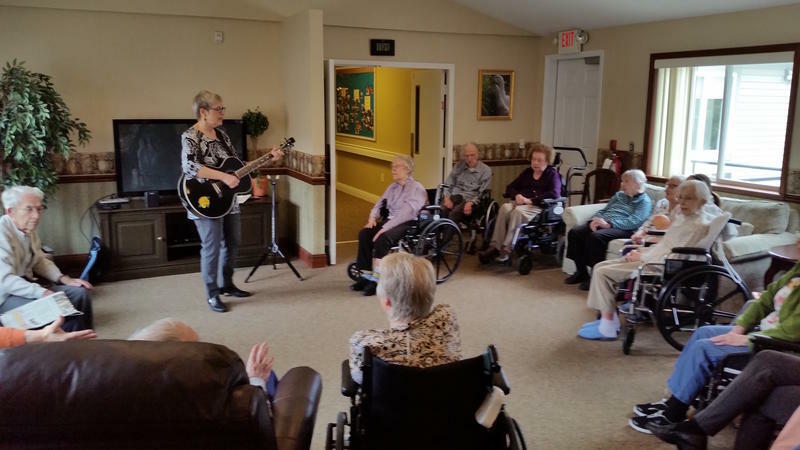 Whether out of desperation or instinct, Mary Sue took her guitar and started to sing the old Gospel hymn, I’ll Fly Away. He made eye contact and began to sing along. 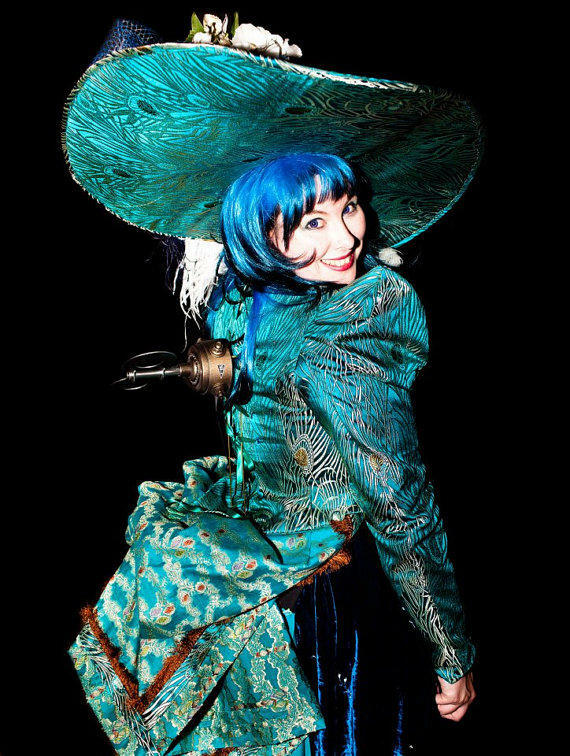 Jema Hewitt says if you see someone wearing a pair of goggles with a top hat, you've spotted a steampunk. "It's kind of like a secret sign," says Hewitt. "If you spot someone, and they're wearing a pair goggles like you would an Alice band, you kind of go, 'Ahah, you're a steampunk!'" Aja Black says that misogyny and violence often show up in hip-hop music. But she believes the reason we have that subject matter in the music is because it’s reflective of our current culture. Black and her husband Big Samir form the hip-hop group The Reminders. The group is in Traverse City performing as a part of Caravansarai. It’s a tour bringing Muslim-American performers to different parts of the country to share contemporary creative expressions.